I'm so happy that you decided to stop by!! 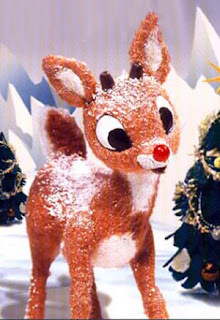 Rudolph Day is considered by some as the 25th of each month and I have tried in the past to post something having to do with Christmas here on my Christmas Blog on Rudolph Day!!! If you missed the post I wrote about what happened and why I am no longer working over on my regular Blog, Debbie-Dabble Blog, click HERE to read it!! And it will be gracing one of the tables in our Living Room this coming Christmas!!!
" The children were nestled all snug in their beds"
I have to tell you that this was one of those pieces that years ago when it was bought, had NO instructions that came with it regarding colors!!! So I used what I thought would be the appropriate colors!! Or maybe they are gingerbread men!!!
" And then in a twinkling I heard on the Roof"
Santa is climbing down the chimney!!
" And he looked like a peddler just opening his sack"
" Happy Christmas to all, and to all a good night!" I always envisioned Santa's sled being gold!!! It only took me over 30 years to finish it!! I am really looking forward to proudly displaying it this coming Christmas!!!! 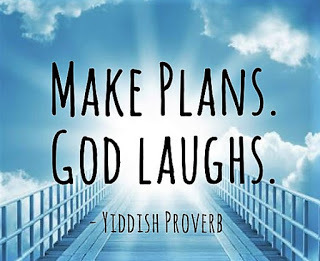 But until then, please stop by my regular Blog, Debbie- Dabble Blog , to see what else I have been doing to keep myself busy! !